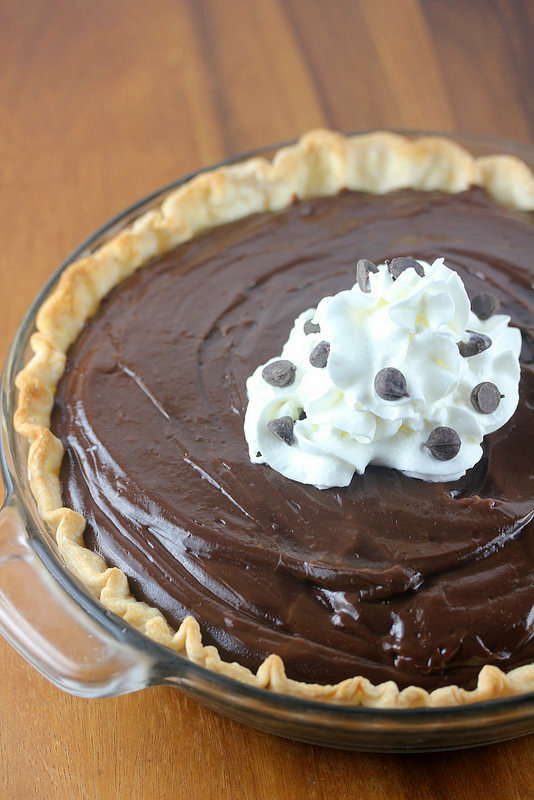 Hershey’s chocolate pie is always a solid option to prepare for the holidays. You cant beat the rich and delicious chocolate flavor of this pie. This recipe is easy because you can use a premade pie shell and then it is just a matter of preparing the filling on the stovetop and refrigerating the pie. Once the pie is done chilling in the refrigerator you can top the slices with whipped cream and chocolate chips for serving. Enjoy. In a 2-quart saucepan stir together sugar, cornstarch, and salt. In a medium bowl combine egg yolks, cornstarch, and milk. Gradually blend the milk mixture into the sugar mixture in the pan.